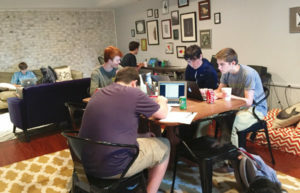 When Linder Educational Coaching opened The Hub in May next to the Lee Harrison Shopping Center, the idea was to create a positive, collaborative space where middle and high school students could gather to do homework or study for tests. The main room is set up like a coffee shop with a countertop, tables and comfy sofas, and stocked with snacks and beverages. 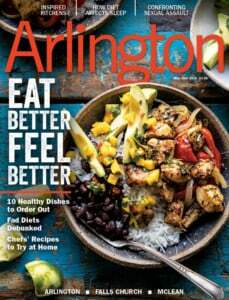 Many students walk over in groups after school (Williamsburg, Swanson, Yorktown and Washington-Lee are nearby), says founder Kristin Linder Carpenter, and that’s part of what makes the experience fun. When students arrive, they check in with a coach, surrender their cellphones and other devices, make a to-do list and pick a place to work. There’s a designated quiet space upstairs, and coaches are on site to help with homework if needed.